Ferratus Sensaciones is a clear reflection of the irresistible personality of its creator, María Luisa Cuevas. As she says, “Sensaciones is the Ferratus base jump”. The recognition it has received at national and international level backs that up. All the grapes used to make it come from Pago de Santa Cruz de La Horra, which, with its soil conditions, the 900 m altitude, its arrangement on a slope, southern orientation, the natural barriers providing protection from the weather and, above all, the age of its vines, gives this wine tremendous character. It is a vineyard that receives the best to give the optimum. After the restricted production, with a balanced number of bunches of small grapes per plant (as these are vines more than 50 years old, each one produced only a few bunches), is harvested by careful manual selection, a further process chooses the best bunches on the first table followed by grape-by-grape selection on a second. Once made, the wine rests for 15 months in new French oak barrels, with customized toasting, under the direction of our winemaker. It is made as much with intuition and creativity as with precision. Each vintage is different because of Mother Nature, but nothing is left to chance. 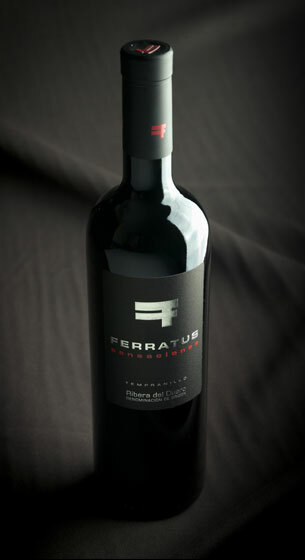 Ferratus Sensaciones is dynamite in a glass. When you serve it, you find legs of dense glycerin falling slowly inside, like a race in reverse where the winner is the last to arrive. When tasting it, you feel an explosion of forest fruits, blueberries and violets, finding notes of chocolate and tobacco from its time in the barrel, and a mineral touch very characteristic of Ferratus Sensaciones. In the mouth, it is a wine structured, complete wine, with volume, transmitting a great deal. Ultimately, pure stimulus.